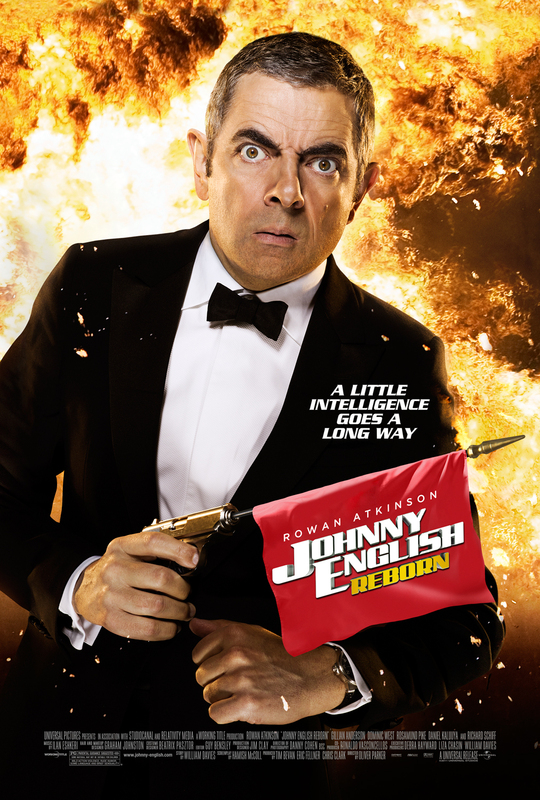 Johnny English is called out of exile back to MI-7 to help uncover an assassination plot against the Chinese Premier. Oliver Parker has directed films like "Othello," "The Importance of Being Earnest," and "An Ideal Husband." Apparently, he was tired of doing such low-brow features, so he decided to turn his attention to something with a little more class and sophistication like "Johnny English Reborn." The screenplay is written by Hamish McColl with a story by William Davies, and it is, of course, a sequel to the 2003 spy spoof "Johnny English." Since the events in the first film, Johnny English (Rowan Atkinson) has become a renowned agent but was fired from MI-7 when his security detail failed to thwart an assassination against the government official he was appointed to protect in Mozambique. A former MI-7 agent has some information on another possible assassination plot against the Chinese Premier, but will only speak with Johnny English. So, MI-7 must call him from exile to meet with this agent and uncover the sinister plot by the evil organization known as Vortex. There is still a place in the world for dumb fun. 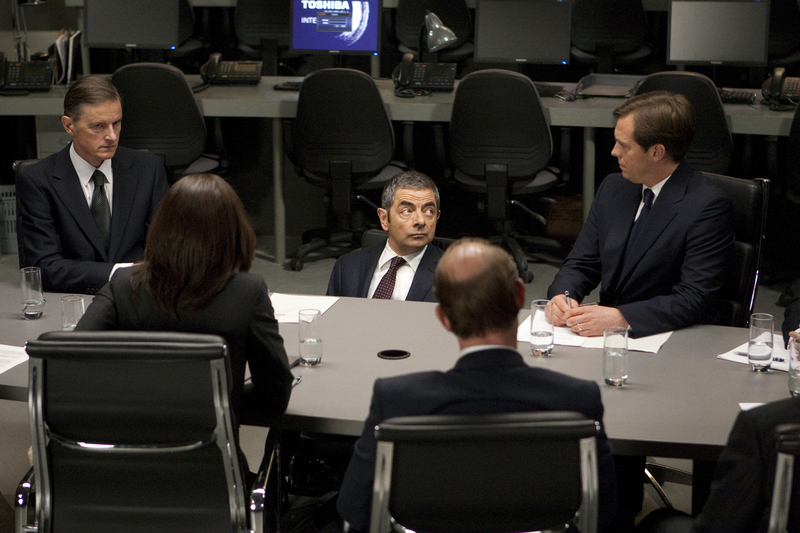 "Johnny English Reborn" is a formulaic spy comedy that, much like its predecessor, is easily predictable. Once again, the audience is presented with a new story and situation where the villain is meant to be hidden until the ultimate reveal. Just like its predecessor, it's painfully obvious who is double-crossing MI-7 as the third member of Vortex. Within seconds of the character appearing on screen, we knew they were the bad guy. Sometimes, you have to wonder if Hollywood will ever stop casting devious looking people to play villains! Mirroring the first movie, Johnny English is faced with a commanding officer (Gillian Anderson) who thinks he is a bumbling buffoon and never believes anything he says. English also has a new sidekick (Daniel Kaluuya) who is far more astute than himself that he treats like dirt. That being said, we don't watch these films for their well thought out narratives or any well-developed characters. We watch these movies to laugh, and luckily, Rowan Atkison is such a brilliant comedian with superb timing and delivery that he makes this movie as watchable as it is. Atkinson is able to deliver jokes with a sharp wit, then turn around and play the idiot with a hefty dose of slapstick. No matter his comedic approach, to us, he is successful in bringing the laughs. If it wasn't for Atkinson, these movies would be a total failure on every conceivable level. The "Johnny English" films aren't the greatest comedies in the world, but they will do just fine. If you hate British humor and/or Rowan Atkinson, well, you're S.O.L. For us, "Johnny English Reborn" is semi-enjoyable, even if it isn't all that memorable.